Want to know who’s doing what, and with which technology partner in the fabulous world of f-commerce? Here are the top (most liked) 50 e-commerce enabled Facebook pages and the store solutions they are using – as captured by f-commerce consultant Steven Hall, from 150 hours of sleuthing with his research team (and then a little editing from us, adding in some omissions). All in all, it’s very a mixed bag that compares apples with pears in the Facebook world of social commerce. Some of these f-stores are basically no more than glorified banner ads linking to product pages on external websites – whilst others are fully fledged stores that handle transactions within the Facebook environment. But the list is still a useful reference resource – since browsing through it you’ll get a clear idea of what is currently being deployed in terms of f-commerce today. Of course, it’d be nice to list the f-stores by sales – but the world is currently not that nice, and we have no access to that data – the list is ranked by page ‘likes’. 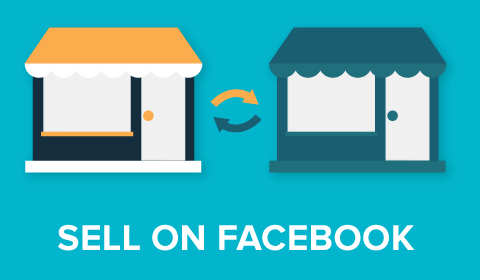 * Powering f-stores on Facebook pages with 100K+ likes (size, isn’t everything – we know – and we’re compiling a full directory, including new solution providers). But do let us know if we’ve missed any f-commerce software being used on pages with 100K+ likes. A word of warning. Do take these lists as an indicative snapshot of the f-commerce market, not an accurate representation of it – the number of likes is unlikely to be a good proxy for store sales, and there are certainly many omissions (we’ve added some – let us know what we’ve missed/got wrong). But kudos to Steve for putting the original list together. Again, let us know of any popular e-commerce enabled pages that should appear in the list, any errors, or missing data. Given these caveats – the list of f-commerce software providers below is probably more useful than the list of stores themselves – which are in a state of, to put it politely, flux (Facebook is making big changes to how f-stores are implemented (no tabs, just app menu, iFrames not FBML – new dimensions etc), so many stores look a mess right now: This evening the much vaunted ASOS store is the wrong size and squeezing down the sidebar… Normality should be restored soon. But for now, this list does give an interesting overview of the early movers and shakers in f-commerce, a feel for what’s possible, and insight into the sectors that are trailblazing with this nascent technology (music, sport, TV, and film).